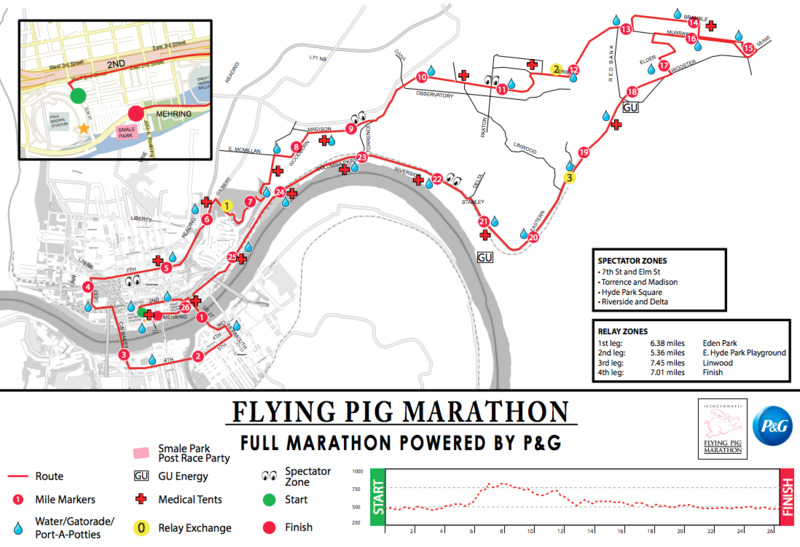 CINCINNATI -- For the 20th annual Flying Pig Marathon, it might be easier to ditch the keys. That's because the race will mean dozens of road closures until roughly noon Sunday, city officials announced. 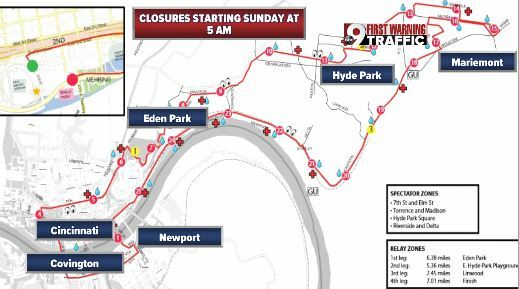 The city advises spectators wishing to park near the starting line -- on Elm Street near Paul Brown Stadium -- to arrive early before the streets close. You'll want to strap in for this list of closures. Gilbert Avenue – northbound closed between Seventh St. and Martin Luther King Dr.
Gilbert Avenue – northbound closed between Eden Park Dr. and Martin Luther King Dr. The street closures also mean some detours and service interruptions for Cincinnati Metro bus service and the streetcar in Downtown. The streetcar will begin running around noon both Saturday and Sunday. It takes roughly 30 minutes after the races conclude to resume service. Friday: Route 85 Riverfront Parking Shuttle will detour from noon until 3:30 p.m.
Saturday: Detours will begin at 8 a.m. until about noon for Route 27 Northside-Casey Ave.
Sunday: Detours will begin at 6 a.m. until roughly 2 p.m. for Routes 4, 6, 11, 17, 19, 21, 24, 27, 28, 31, 32, 33, 43, 46, 49, 51, 50, 64 and 78. Here's more detailed information on the specific detours per route. Jaclyn DeAugustino reports on traffic for Good Morning Tri-State. Connect with her on Twitter ( @JaclynDeAug ) or on Facebook .